I booked my elective placement to Tanzania over a year before I was due to go so at the time of booking it didn’t really seem real and I did not really consider what it was going to be like and how I would feel out there. As the date of departure got closer I became more and more nervous as to what would be waiting for me and how I would adapt to being in Africa – a whole host of emotions were running through me as I boarded the plane... However any fears I had quickly disappeared when we landed in Tanzania. Alpha was waiting for us outside the airport with open arms and the biggest smile and helped us and our bags into the waiting taxi. The journey to the house allowed us to absorb what Tanzania looked like and gave us an idea as to how people live there. When we arrived at the house the nerves set in again as I was unsure as to how we would be received by the other students, but my fears were totally unfounded! Everyone was so lovely and full of storied and advice. On that first night we all ended up going for the most amazing Indian meal in the centre of the city, after which we headed home to settle in and get an early night before our hospital introduction the next day. The next morning we were up early and Mark gave us a tour of the local area before taking us on a Dala Dala (local bus) to the hospital where we’d be working. Once we got to the hospital we were shown around and introduced to the maternity staff, initially my first impressions was of how basic it was and how aloof the staff seemed. We left the hospital to head back to the WTW house and I was full of worry for the next day, when we would be making our way to the hospital on our own and working alongside the staff. However, seeing as it was only mid afternoon and the sun was shining we concentrated on relaxing by the pool! The next day we were up early again and travelled to the hospital with some of the other students who were also heading that way, which was a big help. Once we were at the hospital and had changed into our scrubs the staff seemed to embrace us as members of their team immediately and were keen for us to get stuck in! We tended to arrive at the hospital at 9am and leave about 2pm. During this time on the first day we had 5 births including a set of twins, not bad going! 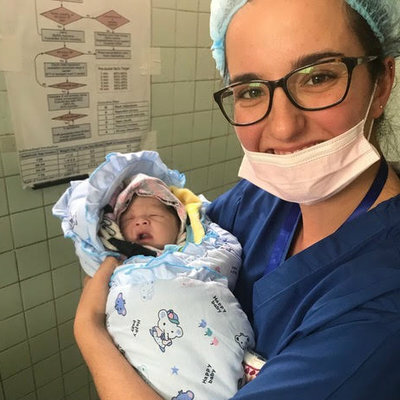 I was impressed at the midwives’ skills, some were out of date, but on the whole their skills are better honed than those of British midwives as we tend to rely on equipment. The biggest difference between Tanzanian and British midwives is how they interact with the women giving birth. In Britain we are quite tactile with the women, providing comfort and verbally coaching them along the process and generally making sure the care given is women-centred. However in Tanzania the women are brought to labour ward at 7cm dilated and are then assessed by one of the midwives. The woman is then instructed to lay on her side and is left until she starts pushing. Until that point it is expected that the women will stay quiet, it was very strange as despite having no pain relief the women generally just looked like they were asleep apart from the occasional toe curl or grimace. If a woman was to call out in pain then the midwives would tell her to be quiet. It took a long time to get used to this as I felt I just want to go over and hug the women and given them encouragement with the little Swahili I knew. But when you get your head around the fact that healthcare in Tanzania is a privilege and not a right then you can kind of understand why; plus the birth rate can reach 100 per day and with only 4 midwives on per shift it makes a bit more sense. After the shift was over we returned to the WTW house, had a lunchtime snack and sunbathed for the afternoon, dinner was then served by Raheema (which was always delicious!) After dinner we would head out into the night as a big group to enjoy the night life and ‘spot bars’ of Tanzania. This was the pattern for our two week stay and I cannot express how much fun it was; not only was I working but it felt like a holiday once the day’s work was done and there was never a dull moment. 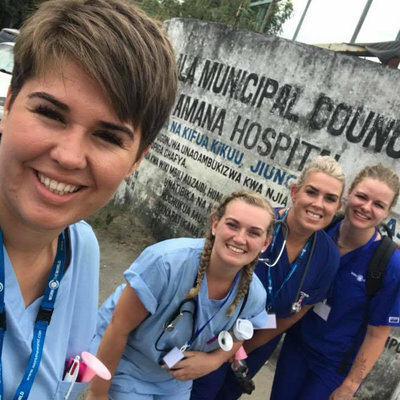 Every day was different at the hospital and there is so much to do in Tanzania in your free time. During my two weeks I saw many, many births, including twins, triplets and breech births. I also managed to be allowed into theatre to watch a caesarean and spent time in the neonatal unit to observe how they care for sick neonates. I have so many new skills which I have made use of in my practice in the UK already and I am sure the lessons will stay with me throughout my professional career. Especially the view the Tanzanian midwives have; that birth is normal and almost every woman is able to birth their baby with minimal input from anyone... sometimes this seems the opposite in the UK! 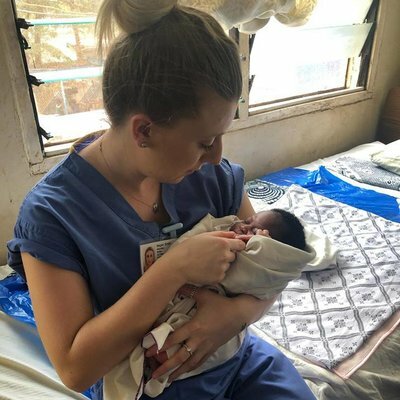 I would not hesitate to recommend this elective to any student midwife as it has certainly opened my eyes and left me with memories I will never forget.